Marianne Fons is internationally famous in the quilting industry, and we are lucky to have her spending her “retirement” here in her hometown of Winterset. (In her spare time she has helped to establish the Iowa Quilt Museum in Winterset, along with refurbishing our historic Iowa Theater.) 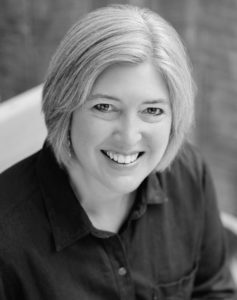 As a longtime writer and recent novelist, Marianne was interested in setting up a blog website to share her ongoing thoughts on a myriad of subjects: quilting, reading, writing, the joys of living in small-town Iowa, and more. 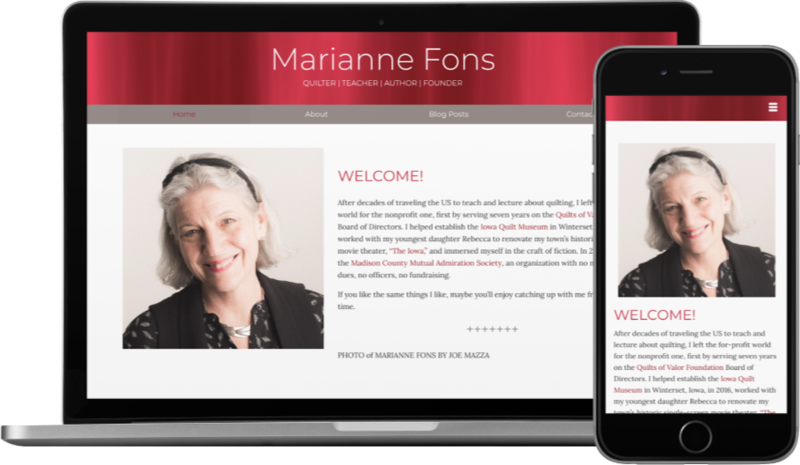 I built the framework of the blog for Marianne and then provided training for her to continue the blogging process. It quickly escalated to hundreds of subscribers, and we have integrated it with MailChimp for easy notification and delivery of new posts.